Traditionally, improvising in style was learnt by spending years or decades learning with a teacher, assimilating his way of playing, first copying it as a model and later on developing an individual expression. But our fast-paced modern times make it increasingly difficult to spend a long time with great artists. Thus, learning from notations, audio and video recordings in addition to, or even as a substitute for personal teaching is becoming more and more important. Hariprasad Chaurasia, the most important Indian flautist in recent decades, is recognized globally as classical raga performer, fusion musician and film score composer. He has been teaching Indian music regularly at the Rotterdam Conservatory since 1991. As he can not stay there all year, he has regularly recorded customised improvisations for his students with which they could work during his absence. These are basically short concert pieces, reduced to essential features. Henri Tournier, master student and assistant of Hariprasad, has analysed these recordings together with the students and transcribed them in Indian sargam notation in order to make maximum use of them. Over the years, an extensive collection of materials has grown and has become an essential teaching tool at the Rotterdam Conservatory. The material of this media set is a small part of this collection. Analysing and playing these pieces can lead to a deep understanding of the underlying principles and serve as a reference for developing your own improvisations. 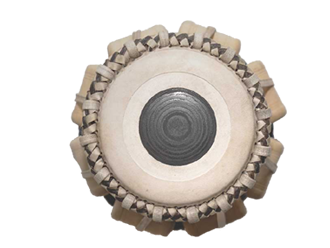 Disc 1 contains pieces in the raga yaman, hansadhvani, desh, malkauns and bhimpalasi and tabla recordings with important talas. While yaman, hansadhvani and desh are played in very compact form for just three minutes each, bhimpalasi with 14 minutes and malkauns with 21 minutes are performed with a lot of detail. All recordings are thoroughly analysed in meaning and structure and are documented exactly to the finest ornaments both in Indian sargam and in Western staff notation. Thus you can read along while listening and grasp every detail trying to play the music yourself along with the recording or on your own. Disc 2 contains the ragas gujari todi (49 '46'') and mishra pilu (19' 01''). 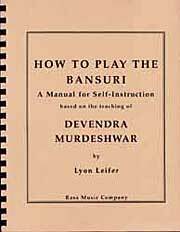 The specifics of these two ragas are presented briefly in the book, but the recordings are not transcribed. They are only analysed structurally against a timesheet. Thus, they are meant are not meant for playing along, but as tool for developing your listening comprehension.